Congratulations on your engagment… Now for the fun part THE DRESS! Starting the search for your wedding dress is a very exciting wedding day preparation and we can’t wait to be part of that experience with you. 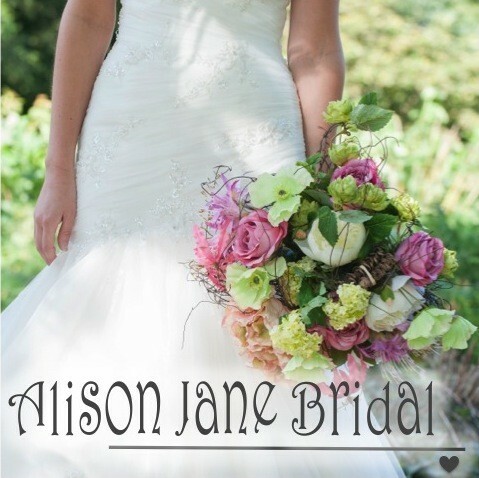 Alison Jane bridal offers a choice of contemporary designer bridal gowns as well as classic styles. Official stockist of Alexia Bridal, Daisy by Alexia, Romantica Bridal & an exclusive stockist of Heritage by Balbier Wyatt in West Yorkshire, a quintessentially British label with a cosmopolitan flare. The shop, which is open Tuesday to Saturday with a late night Thursday by appointment, has dresses to try on in sizes 6 to 22 and available to order in sizes 4 to 32. New to order bridal gowns start from just £335 to £1,300 and bridesmaid from £132 to £225.